LOADS OF CHARACTER!! 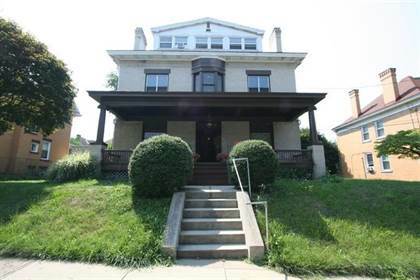 3 LARGE 2 BEDROOM UNITS IN A TURN OF THE CENTURY BRICK MANSION HOUSE LOCATED JUST 3 MILES NORTHWEST OF DOWNTOWN PITTSBURGH. BED & BREAKFAST FEEL! GREAT LOCATION WITH 4 ALTERNATE ROUTES INTO DOWNTOWN AND NO TUNNELS. EASY ACESS TO US RT-65, I-79-, I-279 AND ALL PARKWAYS. CLOSE TO SHOPPING, DINING AND ENTERTAINMENT. OWNER PAYS HEAT WITH A NEWER HIGH EFFICIENCY GAS BOILER, OWNER ALSO PAYS WATER AND SEWER, TENANTS PAY ELECTRIC. PROPERTY INCLUDES A DETACHED 2 CAR GARAGE, COIN LAUNDRY WASHER & DRYER IN BASEMENT. GREAT PROPERTY FOR OWNER OCCUPANT TO HELP REDUCE LIVING EXPENSES AND ON GOING CASH FLOW STREAM. Hi, I'd like to find out more information about 3531 Simen Avenue SIMEN. Thanks so much!